Returns for a third season ready to continue her contributions to the top seven…missed a good portion of last season, but rebounded with her finest track campaign…carries momentum from a strong summer of training into the campaign. Cross Country: Competed in only three meets in the fall…made promising season debut at the Covered Bridge Open (18:31.8, 5k); a 40-second improvement over her freshman effort at the same course…also ran at the Virginia Tech Alumni Invitational and FSU Invitational. 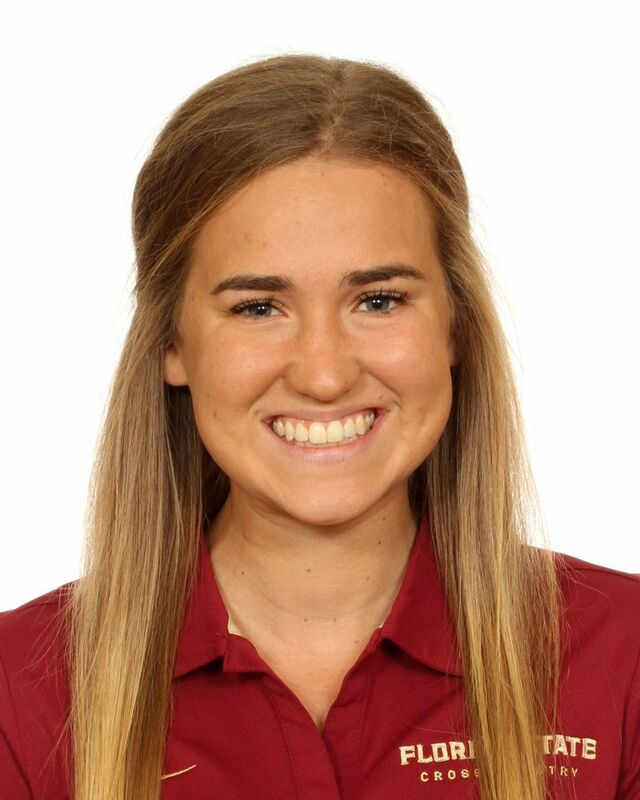 Indoor: Bounced back with her best winter campaign…opened up with collegiate-best 5:11.27 mile at the Orange & Purple Invitational…also competed at the Larry Wieczorek Invitational and Razorback Invitational…had her finest indoor effort at the Tyson Invitational with a 3000m PB (10:16.38). Outdoor: Building on her indoor season, established a pair of new PBs in the spring…cracked 18-minute 5000m barrier three times in four starts, highlighted by PB of 17:22.80 for the win at the Tiger Track Classic…three weeks later laid down a 1500m PB (4:40.79) at the Seminole Twilight…made her first ACC Track & Field Championship appearance in the 5000m at Miami. Cross Country: Competed in seven meets in her first collegiate season, including the ACC and NCAA South Region Championships…turned in her finest individual performance at the Notre Dame Invitational running 18:14.5 (5k) as No. 5 runner…started off with a bang as No. 2 runner at the Covered Bridge Open, finishing 18th overall (19:13.82)…finished on a high note with a 6k PB (22:14.5) at the NCAA South Region, where she was sixth among FSU finishers. Indoors: Sat out for what will be a redshirt season. Outdoors: Saw action in six meets, focusing primarily on the 1500…did post an early 18:48.75 500 at the Yellow Jacket Invitational…her SB 1500 (4:44.64) came at the season-opening FAMU Relays, where she finished second. Won 2015 Tennessee state titles in the 1600 and 3200 and was runner-up in the 1600 and 800 as a senior…was 2015 Tennessee state runner-up in cross country…has recorded personal-bests of 2:15.74 (800), 4:51.73 (1600), 4:56.19 (mile) and 10:34.61 (3200)…also played varsity soccer for one season…graduated in the top 10-percent of her class at Brentwood…majoring in business at FSU…earned ACC Academic Honor Roll honors in her first season at FSU…born Sept. 3, 1998.